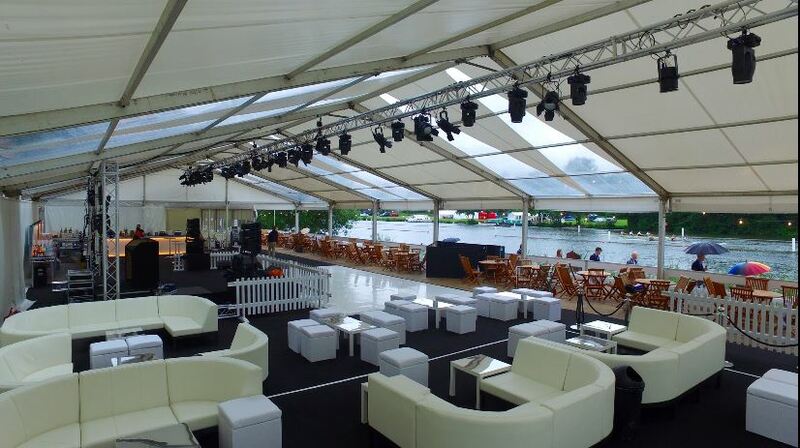 In summer 2016, we were part of a team of event professionals that helped to transform a riverside marquee into a VIP Enclosure for the Henley Royal Regatta. Widely seen as the UK’s most celebrated boating event, it’s no wonder that there is a demand for champagne fuelled party hangouts along the riverside for people to sit back, relax and enjoy the view. This year, it was the turn of the exclusive London clubbing destination, DSTRKT London, to provide an unforgettable party experience for Regatta attendees. For us, the Star of the Show was our extremely versatile Luna Modular Sofa Seating. 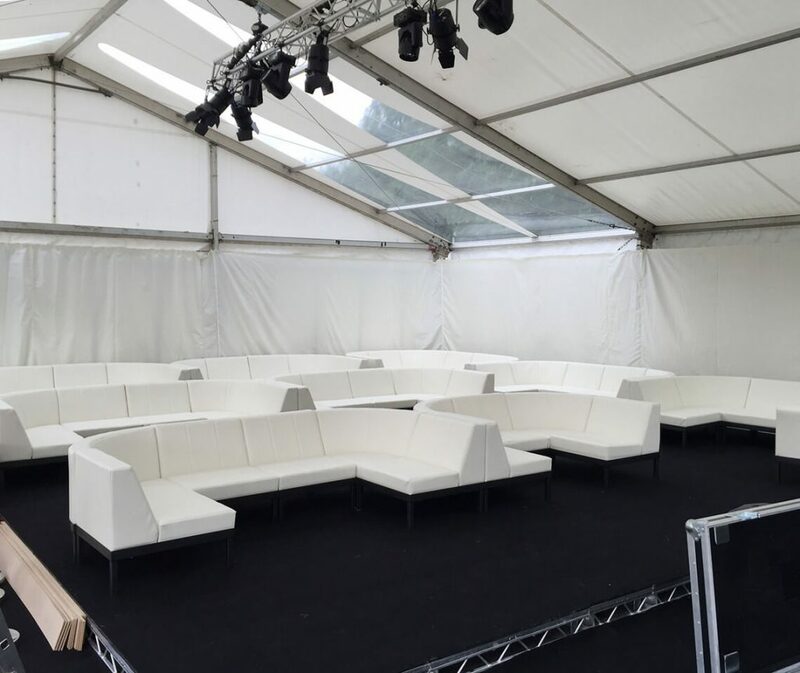 This was used to create a number of VIP booths within the marquee, which were available for regatta attendees to hire as part of a luxury party package provided by DSTRKT. Being modular, there is no limit to the combinations and configurations that you can achieve with the straight and curved sections! Amazing, right? 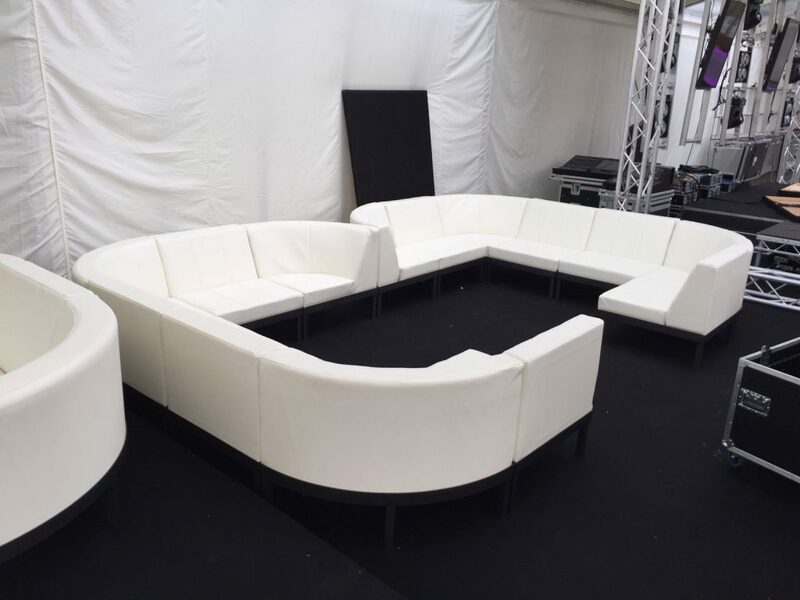 Ultimately, our Luna seating lends itself to suit any venue or event. As far as possible, we opt to supply modular furniture so that our products are workable across different settings. Modular furniture is innovative for this very reason, which is why the Luna Modular Sofa Seating can offer something very different and exciting to the events industry. 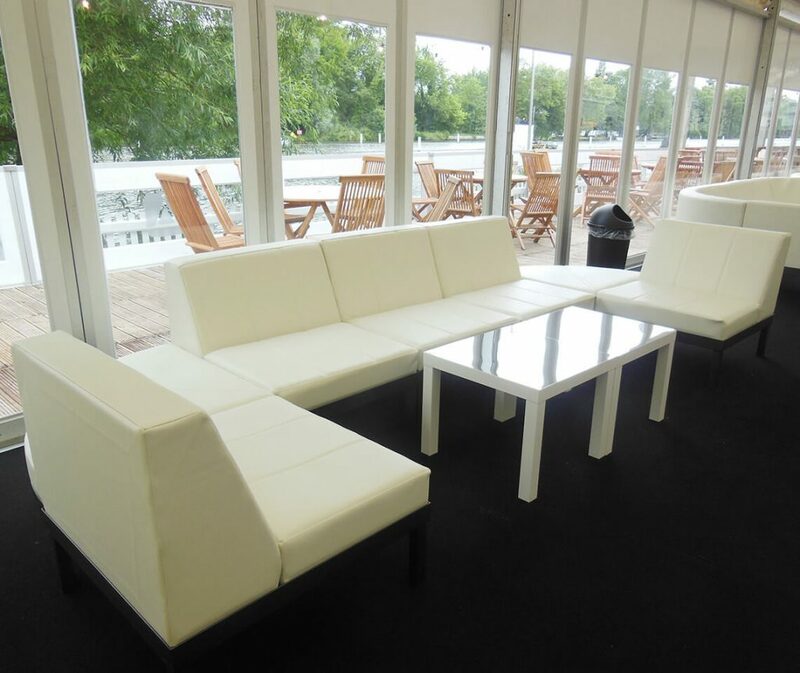 Get in touch with us to find out more about how Luna Modular Sofa Seating could feature at your next event!